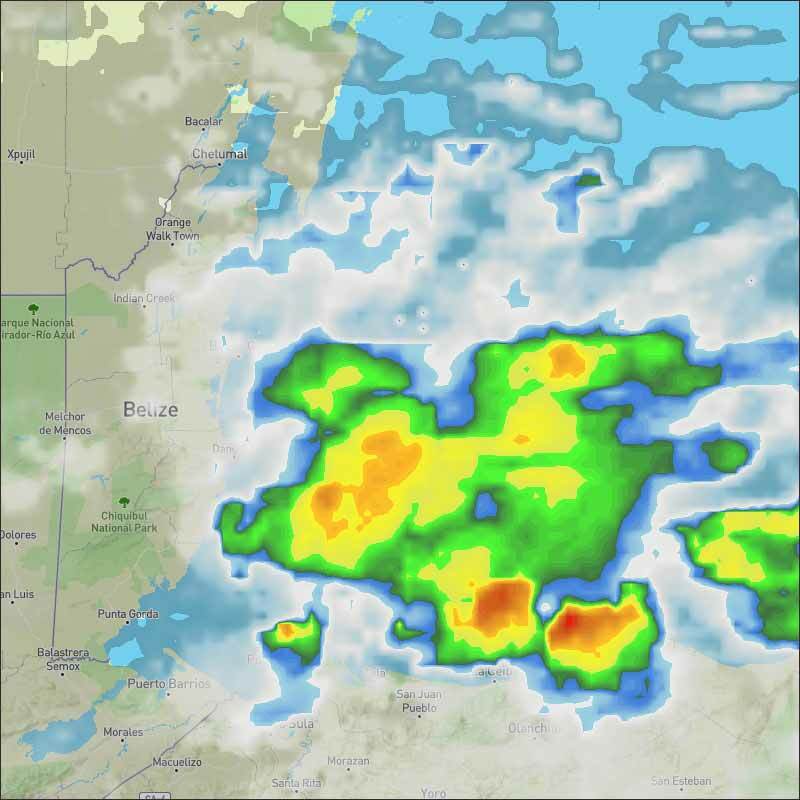 Belize NMS: A moist northeasterly airflow continues to dominate our weather. 24-hour forecast: Cloudy with sunny breaks today and cloudy at times tonight. A few showers, periods of rain and isolated thunderstorms will occur mostly over the sea and along the coast this morning and tonight and over inland areas after mid-morning today. Today N-NE 5-15 kts Light Chop-Choppy 3-5 ft A FEW SHOWERS, PERIODS OF RAIN AND ISOLATED THUNDERSTORMS. Tonight NE-E 5-15 kts Light Chop-Choppy 3-5 ft A FEW SHOWERS AND ISOLATED THUNDERSTORMS. Tomorrow NE 5-10 kts Light Chop 2-4 ft A FEW SHOWERS, PERIODS OF RAIN AND ISOLATED THUNDERSTORMS. 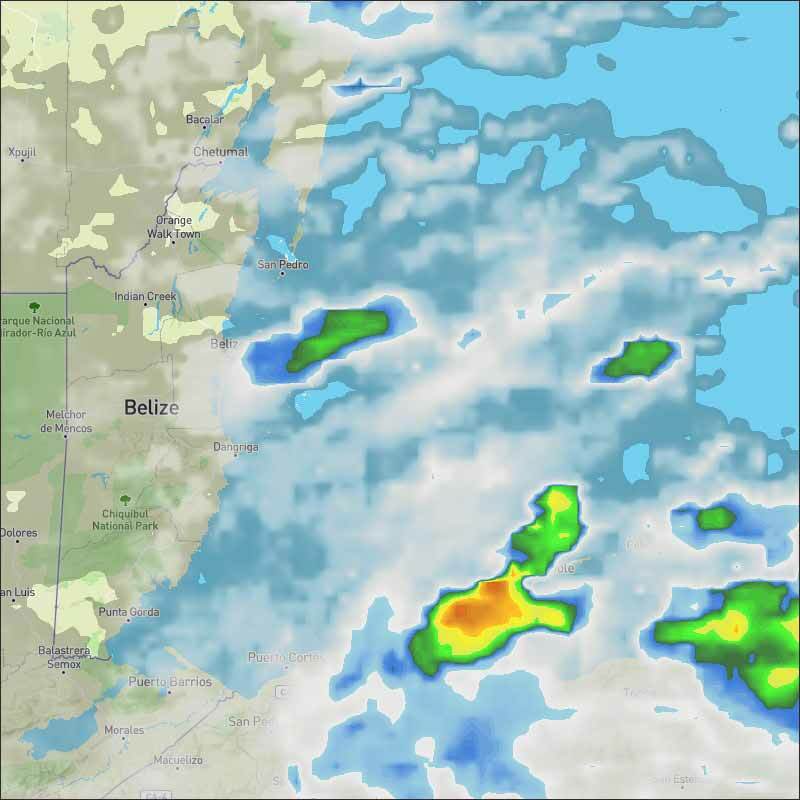 Outlook NE-E 5-10 kts Light Chop 2-4 ft A FEW SHOWERS AND ISOLATED THUNDERSTORMS. A tropical wave is entering the eastern Caribbean. Refer to the section above for details. A broad surface trough along 81W is associated with a broad area of low pressure located over the southwestern Caribbean Sea. 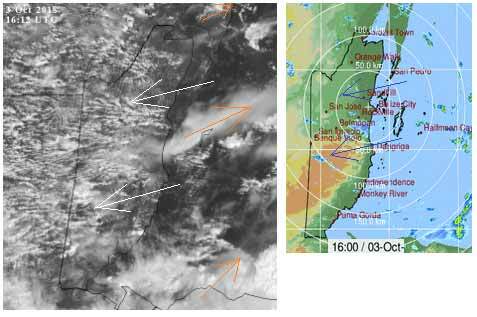 Satellite imagery shows scattered moderate convection prevailing between 70W-86W. 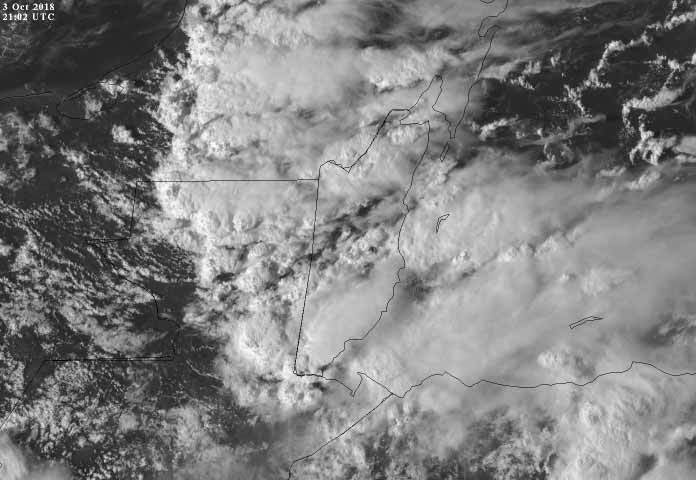 This convection is enhanced by an area of upper-level diffluence. Some gradual development of the broad low pressure area is possible late this week and this weekend while the low drifts generally in a northward direction. A deepening mid to upper level trough over the northern Caribbean and Greater Antilles will help advect moisture northward as the week progresses. As a result, heavy rain is likely to spread over sections of Hispaniola and Jamaica later this week and into the weekend. Broad mid-level ridging is over the east Caribbean with associated westerly upper level flow leading to generally quiet weather conditions east of 70W. Large NNE swell generated from Leslie will pass through the Atlantic passages into the Caribbean waters. 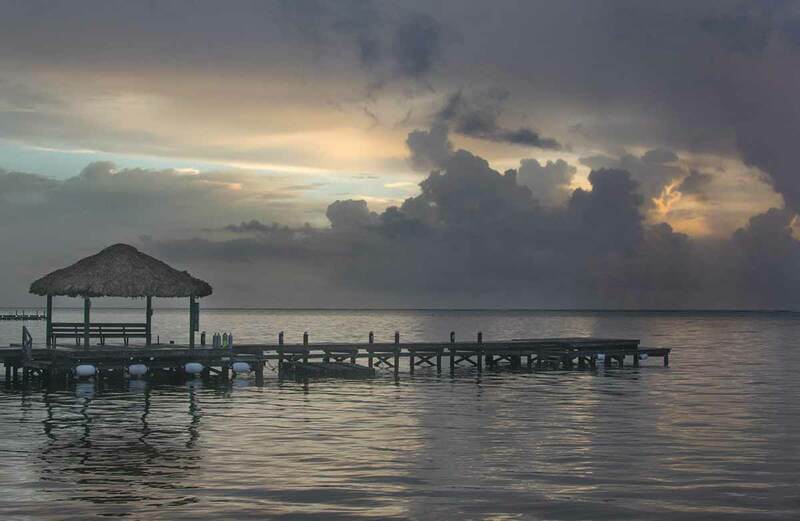 On Ambergris Caye this morning we have rain with wind direction from the North and a flat calm sea around our barrier reef. The expected high temperature is 87 f.
I have been noticing that very frequently as the warm wet air gets over Belize into southern Mexico and Guatamala, it rises and forms a line and then area of clashing with high level air. Well that happened rather more suddenly than normal, right on top of western Belize yesterday. This morning it is already doing that along our coast line. So there is a line of rain developing out at sea and coming in now. Looks like today will be a rainy day for most of us, probably both this morning and more later today. The Cloud and rain picture. The rain has actually been reducing over the last hour or so, but could increase again this afternoon. Last edited by Marty; 10/03/18 10:34 AM.
. Often after the wet air has passed over Belize, but now all over Belize.